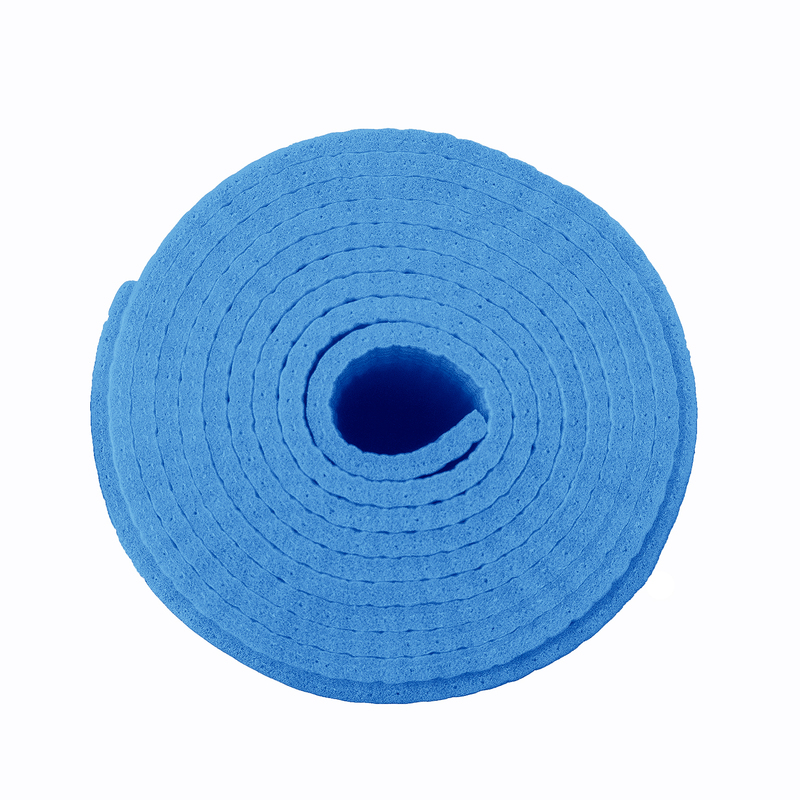 Our standard size, Classic 1/8 Inch Yoga Mat is affordable, available in wholesale and generic (unbranded) for easy custom printing or yoga studio resale. Great for home practice, travel and yoga studio use alike, our Classic Yoga Mat is one of our best-selling exercise mats! For under $10, you can get a high-quality yoga studio mat. On a budget or furnishing a yoga studio? Buy in bulk and the price drops even lower! This mat is highly versatile, lightweight for easy travel, with a super sticky textured surface. Made from PVC (no latex and made with phthalate-free ink) and available in 16 marvelous colors to match any decor. Custom printing available for this item! 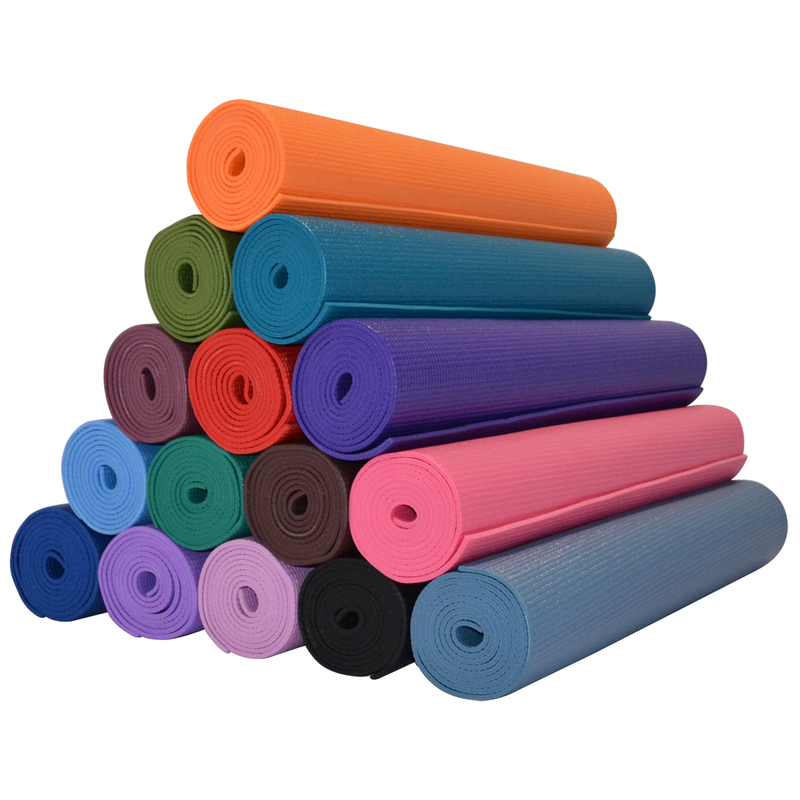 The Classic 1/8" Yoga Mat, aka Sticky Yoga Mat is the industry standard, and is the most economical choice for stocking your studio. Made of durable foam with a high-tack surface for stickiness, these mats are 1/8" thick. Our 1/8" thick yoga mats are very popular because they provide the least amount of mat between the Yogi and the floor, making them a great choice for beginner classes. These mats arrive individually wrapped, and can also be custom printed with your own company or studio logo or design. Great mats, bought for my kids school, a fantastic deal for them. Teachers are pleased. Used for other gym actives besides yoga. Best bargain ever on these quality mats. Perfect for bulk orders, such as for larger studios, school use. The students at our local junior high school were thrilled with them. Thanks so very much.